This bold pirate monitors the water temperature and ensures more safety during bathing. With a lovely design, the thermometer is particularly suitable for children and babies. The ideal bathing temperature is especially marked which makes monitoring easier. 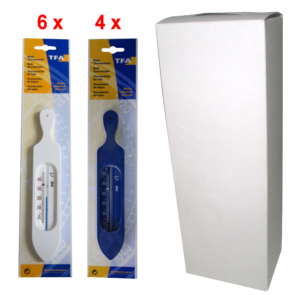 Bath Thermometer Set 10 pcs.